Family-owned business with 50+ years combined experience! 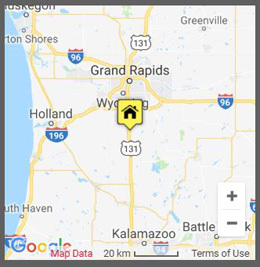 CDR Disposal Service, Inc. is a family owned and operated business proud to serve all of West Michigan, including Grand Rapids, Kalamazoo and Muskegon. We offer affordable dumpster rental service. We’re dedicated to ensuring each customer is treated with respect and receives the same superior level of service we’d offer our own family members. Founded in 2000, CDR has grown as a company over the years yet still offers that small business feel you only get by going with a local, family-owned company. We have multiple dispatched trucks and a huge inventory of roll-off containers ranging in size from 10 to 40 cubic yards. We can get your dumpster delivered as soon as the same day! We’re proud to serve homeowners, businesses and contractors throughout West Michigan with competitively priced construction dumpsters and service that simply can’t be beat! It’s our goal to divert as much waste as possible from local landfills. We offer a variety of recycling programs to help promote a greener way of disposing waste and debris. Call (616) 318-0835 for an eco-friendly solution to your disposal needs. CDR is a member of the West Michigan Chapter of the U.S. Green Building Council (USGBC). 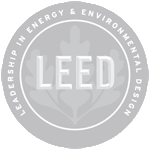 We can help your business get one step closer to achieving Leadership in Energy and Environmental Design, or LEED, distinction from the USGBC. Specifically, we can help you earn credit points toward the Construction Waste Management category, which is one of the six main categories used by the USGBC to determine a business’s LEED eligibility. Our LEED program is designed to be user-friendly, efficient and provide you with all the quantitative information necessary to earn credit points within the Construction Waste Management category. We take pride in knowing our level of service is unmatched by other area roll-off container rental companies. We’re dedicated to our customers, and we’ll do what it takes to ensure a hassle-free experience. Our rates are priced competitively, and our service is second to none. We’ll accommodate you as best we can to ensure you get the container right where you need it, when you need it there. From owners Tom Folkerts and Craig Busscher, along with the rest of the team at CDR Disposal, we thank you for taking the time to consider CDR for your waste disposal needs and look forward to getting the chance to earn your business! Hours: Monday – Friday 8 am – 5 pm, Saturday 8 am – 12 pm. Closed Sundays.